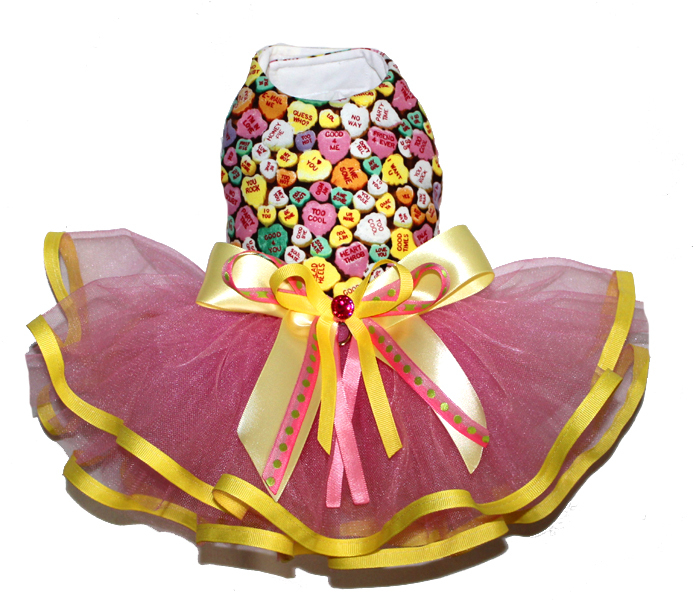 Super yummy Conversation Hearts dress is perfectly sweet for Valentines day! 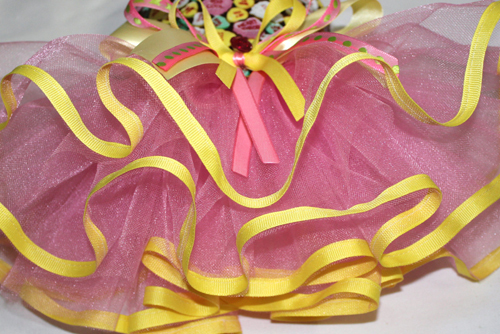 Fully lined bodice with extra fluffy tulle skirt trimmed in ribbon and then completed with a sparkly centered multi-ribbon bow. This piece is sure to be a "conversation" starter!